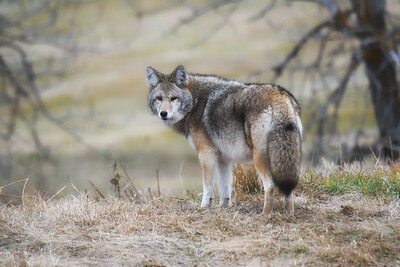 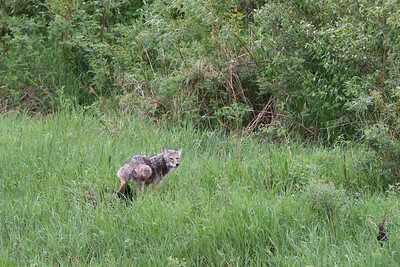 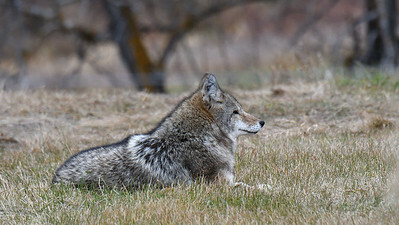 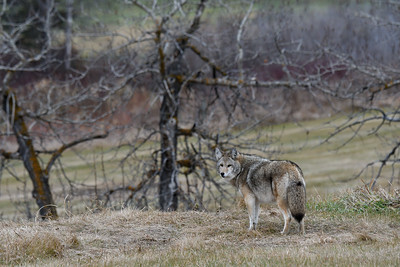 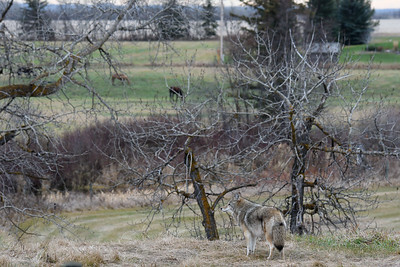 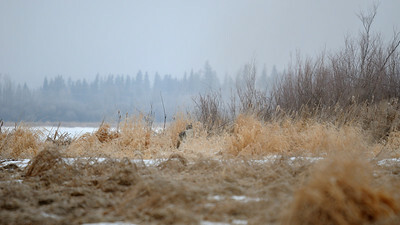 Chance encounters in the wild from St Albert and district including Lois Hole Centennial Park, Big Lake, and the Sturgeon River. 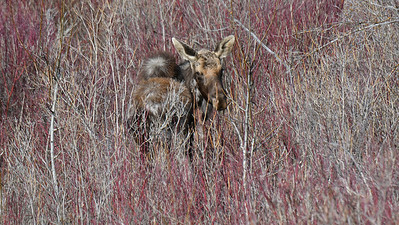 Scroll down and click on any photo for larger versions then either click right or left or, for a slide show, click on the play button in the lower left hand corner, or go straight to the slideshow using the button at top right of the first photo. 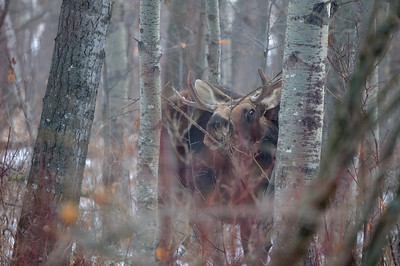 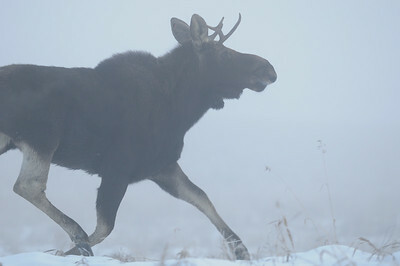 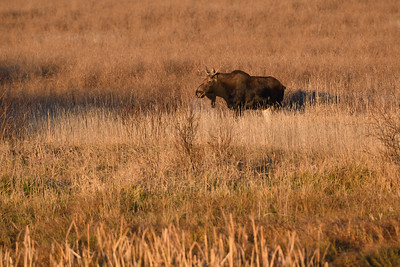 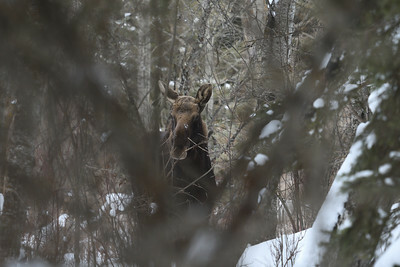 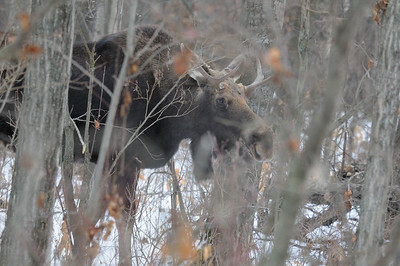 This young bull moose was hanging out in the woods when I walked by with the dogs, he gave me a hard look before disappearing. 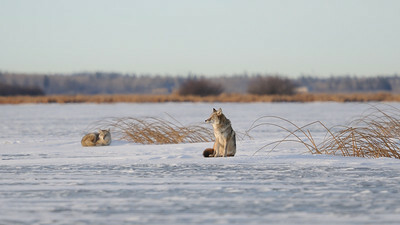 A (probably) mating pair of Coyotes hang out on the ice during a warm break of the frigid winter weather. 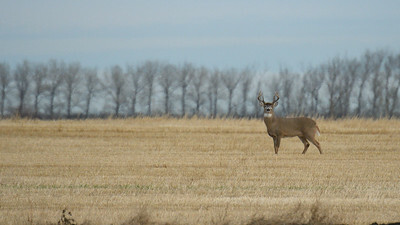 Looks like we are due for some babies in the spring. 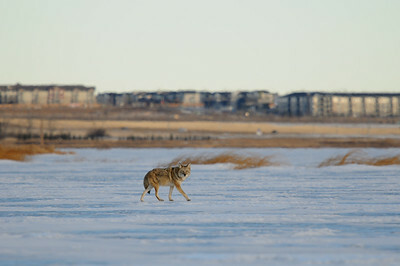 This male Coyote led me away from his mate (who was sleeping on the ice) and posed with St Albert in the background, taken on Big Lake. 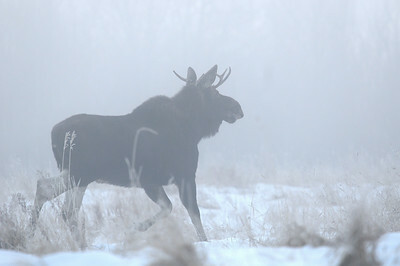 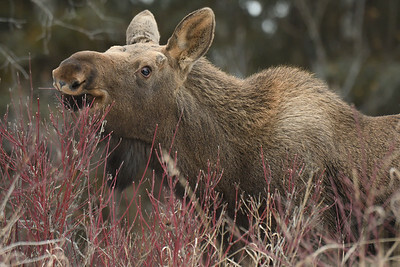 The moose molt in the Spring and turn from brown to white before growing in their summer coat, sort of opposite to the snowshoe hare. 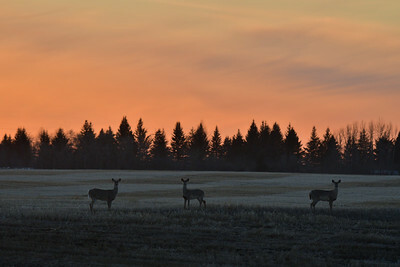 Three white tailed deer interrupt their evening browse to inspect the apparition that walked into their view (me). 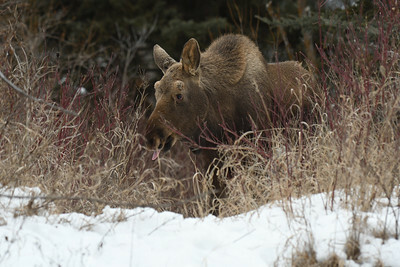 Not sure if the sticking out the tongue was intended to send a mesage! 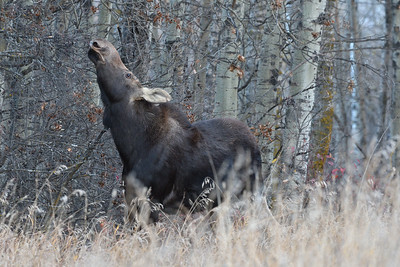 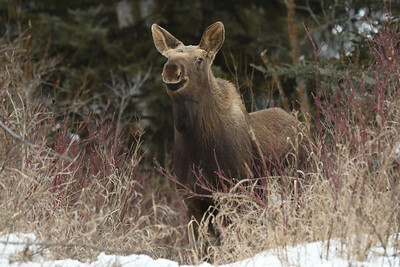 This moose seemed pleased to see me! 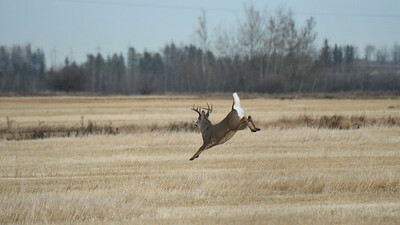 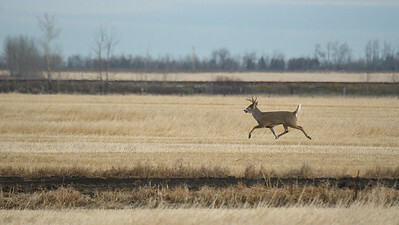 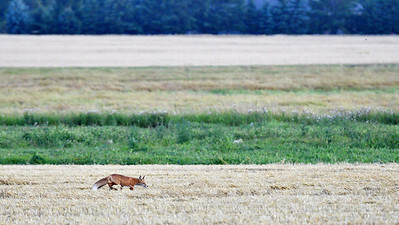 A whitetail buck trots along in a field west of St Albert.